By MJW, August 19, 2016 in Plugins - Publishing ONLY! This is a release version of a plugin I began almost exactly a year ago ago. The plugin is intended to aid in editing a region within a larger image, allowing the layers to be moved around the region without losing the areas outside the region. The View Framer is located under Effects>Render. The biggest improvement over the beta version is the addition of a scale factor to allow the image to be edited at a higher resolution than the final version. View Framer renders a guide to frame a rectangular region within the image. The view frame should be rendered into a separate layer above the image layers. To create a flattened version of the region, the view area can be selected uisng the Magic Wand, and then copied into the new image using Copy Merged followed by Paste into New Image. Width: The width of the view frame, before scaling. Height: The height of the view frame, before scaling. Scale: The amount to scale the view frame. Because the scaled width and height are converted to integers, non-integer scaling factors may alter the view frame's aspect ratio. The scaling factor is clamped so that the view frame is always inside the image. Location: The location of the view frame. Because the view frame must always fit inside the image, this is not the location of the view frame center. Background Color: The color of the region outside the view frame. The choices are Black and White. Background Opacity: The opacity of the region outside the view frame. Guideline Thickness: The thickness of guidelines drawn around the view frame. Specifying zero thickness disables the guidelines. Extend Guidelines: When checked, the guidelines will be extended to the image boundaries. Horizontal Guideline Color: The color of the horizontal guidelines. Selecting None disables the horizontal guidelines. Horizontal Guideline Opacity: The opacity of the horizontal guidelines. Use Horizontal Color and Opacity for Vertical Guidelines: When checked, the color and opacity of the veritcal guidelines will be match the horizontal values. Vertical Guideline Color: The color of the vertical guidelines. Selecting None disables the vertical guidelines. Vertical Guideline Opacity: The opacity of the vertical guidelines. Because I wanted to add a few features that aren't available to CodeLab plugins, it's a Visual Studio project. I'll try to post the project to a public site soon. 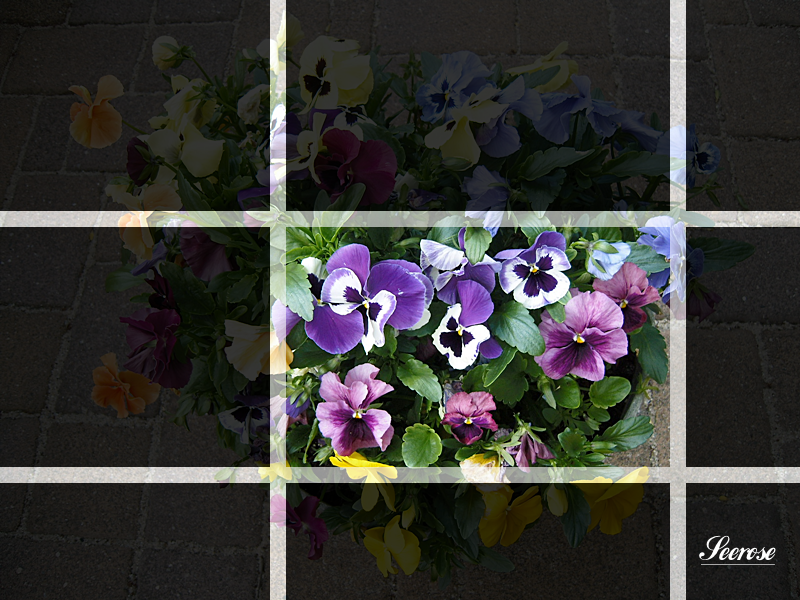 As the instructions say, you need to create the view frame in a separate layer, above the image layers. Add a new layer, then run the plugin. You're certainly welcome, Seerose. I'm glad I finally got around to finishing it. The plugin is fairly useful, I think, but not too exciting, so I kept getting distracted with other things (I'm easily distracted). I like the fact that you used it for a more artistic purpose. I seldom fail to be surprised by the imaginative uses of my plugins. Thank you very much for this plugin, MJW, although you think that it's not too exciting. I do like it and even made a YouTube video about it. Because it's in German, I additionally made English captions - I hope there are not that much mistakes. Thanks again for your efforts in creating this plugin. You are very welcome! Brilliant! Thank you for sharing. I agree with ingwer, it is a great tool. Sometimes we just need to think outside the box. Thanks for your video, and for your creative use of the View Framer, ingwer! You and Seerose have come up with much more imaginative uses than the rather utilitarian purpose it was developed for. You and Seerose have come up with much more imaginative uses than the rather utilitarian purpose it was developed for. MJW! Is this a compliment? If so, many many thanks.